Eliminate guessing whether the blue top is going to match the blue skirt. You will be able to see the true colors of your clothing before you walk out into day or evening light. By design, the LED light has a 120 degree light beam to keep it from shinning in your eyes and focuses directly on the clothing. Available in 4 powder coated finishes, for the display of clothing in a neutral or warm lighting glow. Lengths from 18 to 96 inches are available and can be cut to your specific length by us or yourself. There is a charge for cutting. 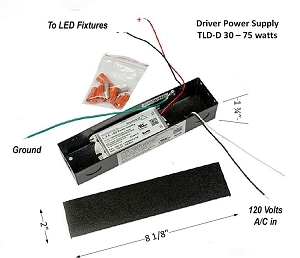 Optional low voltage 15V Dimmable DC drivers (hardwired or plug-in style) power the LED lights. 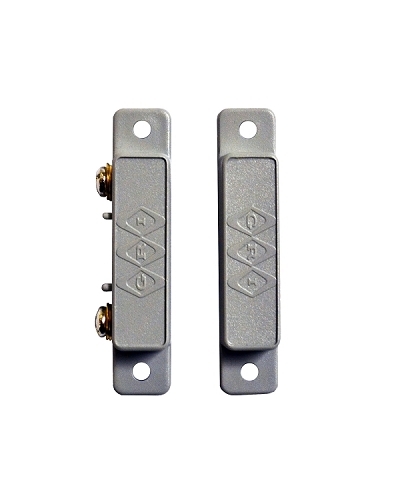 Also available are magnetic door switches to turn on the LED Lights when the door is opened. Rods over 48" require a center bracket; otherwise, the warranty is voided. The shelves above are illuminated by our Corner Accent LED Lighting Strips. The most difficult challenge in selecting clothing colors is determining the difference between dark blue and black clothing. You will appreciate our high quality LED Lighted Closet Rods. Not all closet rods are created equal. 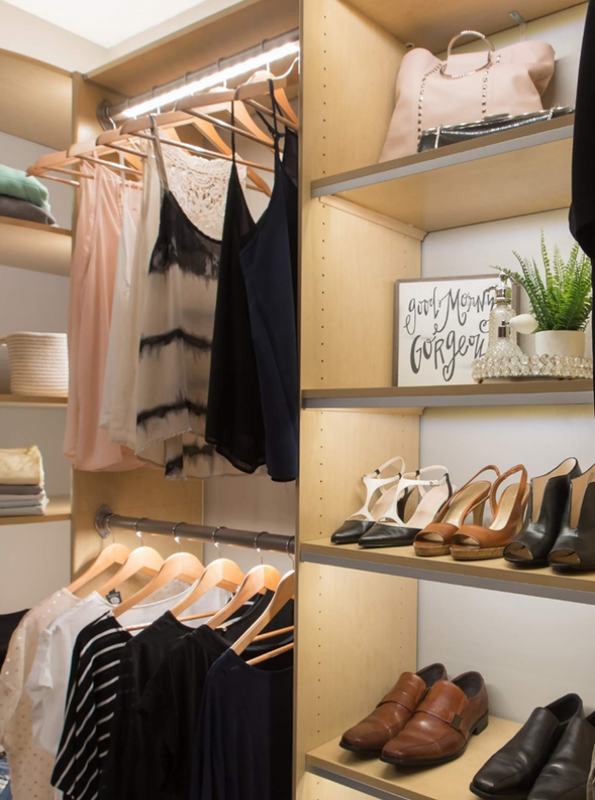 There are many lighted closet rods on the market today, but what most buyers only see are price differences. 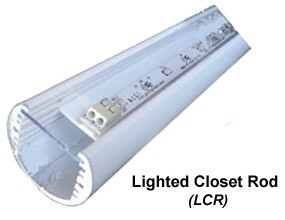 There is a lot of truth to the fact "you only get what you pay for"
The Task LED Lighted Closet rods, are made in the USA and the LED lighting has the highest purity rating of color illumination (90CRI) assuring true light output at 3000 Kelvin natural light rating. Meaning, what you see in the closet is what will be shown in the day or evening time. Custom elegance is more affordable than you think.